Games Workshop has a new 40k supplement rulebook that's only available on their website. 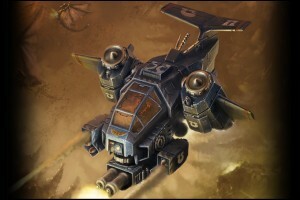 Death From the Skies adds aerial combat to the 40k game world. Death from the Skies contains everything you need to know about fighting aerial battles in the 41st Millennium. Comprised of detailed rules, background information, scenarios and stunning artwork, it features selected material from White Dwarf magazine, the Crusade of Fire supplement as well as exclusive new content, enabling you to fight out white-knuckle aerial battles.